Interests: •Environmental Engineering, Energy, Advanced Separation processes, Modeling, Simulation and Optimization, Biochemical Engineering, Waste water treatment, Membrane separations, Reactive distillation, Inverse fluidization, Pharmaceuticals and nanotechnology. Primary education (I-IV) from Upper primary school, Potlapally (V), Husnabad (M), the then Karimnagar (D), but now in Siddipet dist. Upper primary & Secondary education (V-X) from the then Andhra Pradesh Residential School for Boys (APRSB), Peddapur camp (V), Metpally (M), Karimnagar (D). Intermediate education from Andhra Pradesh Residential Junior College (APRJC), Maredumilli (V), Rampachodavaram (M), East Godavari (D). B.Tech & M.Tech in Chemical Engineering from University College of Technology (UCT), Osmania University, Hyderabad. Ph.D in Chemical Engineering from National Institute of Technology, Warangal, Telangana. Master of Business Administration (MBA) in Human Resource Management (HRM) from DDE, Pondicherry University, Pondicherry. Master of Arts (M.A) in Sociology from SDLCE Kakatiya University, Warangal, Telangana. Master of Science (M.Sc) in Mathematics from SDLCE Kakatiya University, Warangal, Telangana. Bachelor of communication and Journalism (BCJ) from SDLCE Kakatiya University, Warangal, Telangana. Has been recently nominated as the member of Technical Committee on ï¿½? ?Consent For Establishment (CFE)ï¿½?? of industries in Telangana State by Telangana State Pollution Control Board (TSPCB), Telengana, Hyderabad since February, 2018. Has been serving as the member of Technical Committee on ï¿½? ?Consent For Establishment (CFE) ï¿½?? Change of Product Mix (CPM)ï¿½?? of Telangana State Pollution Control Board (TSPCB), Telengana, Hyderabad since February, 2017. More than 19 years of experience in teaching different Chemical Engineering courses and Research since 26.02.1999 to till date at the Department of Chemical Engineering, National Institute of Technology (Formerly Regional Engineering College), Warangal, TS, India. Undergone research training on Synthesis, Characterization and Applications of Silica nanoparticle assisted mixed matrix Cellulose acetate membrane of Matrix Cellulose Acetate Membranes under the supervision of Prof. M. Clara Goncalves and Prof. Maria Norberta Correia de Pincho at Instituto Superior Technico, Technical University of Lisbon, Portugal through Technical Education Quality Improvement Program (TEQIP), MHRD, Govt. of India. Mr. SARATH KUMAR MEKA ï¿½?? Erasmus fellowship, IMPAKT Project - Erasmus Mundus Program at University of Porto, Portugal - Working on Waste water Treatment using Hybrid system of Nanofiltration combined with Fenton reaction. Optimization of Process variables in Citric acid Production in a Batch Fermentorat an outlay of 0.6 lakhs sponsored by NIT Warangal, A.P, India under faculty research during Sept 2007-March 2008. Waste water treatment using ceramic nanoporous membranes at an outlay of Rs. 3.30 lakhs sponsored under Research Seed Money by MHRD, GOI during 2012-2013. Modernization of Heat Transfer Laboratory at an outlay of 15.00 lakhs sponsored by MHRD, New Delhi under MODROBS during 2002-05. Development of pickling and polishing compound for improved coin quality and pollution control at an outlay of Rs. 2.88 lakhs sponsored by India Govt. Mint, Cherlapally, Hyderabad. Development of Cellulose acetate based nanoporous membranes for Fluoride removal from ground water at an outlay of Rs. 22.42 lakhs sponsored by Council of Scientific and Industrial Research (CSIR), New Delhi [No. 02(0215)/14/EMR-II], Govt. of India. A research proposal on ï¿½? ?Effluent Water Treatmentï¿½?? to India Govt. Mint, Cherlapally, Hyderabad. A research proposal on ï¿½? ?Development of porous nanostructured ZrO2 spheres for arsenic treatment in a packed bed column setupï¿½?? at an outlay of Rs. 92.2 lakhs was submitted to Department of Science & Technology (DST), Govt. of India. A research proposal on ï¿½? ?The effect of cure parameters on the performance of Rayon Carbon, E-glass & High Silica Phenolic composites: A Comprehensive and Comparative Study for missile applicationsï¿½?? at an outlay of Rs. 35.0 lakhs was submitted to SERB, DST, GOI. A research proposal on ï¿½? ?Inverse fluidization in a tapered fluidized bed bioreactor: An advanced waste water treatment for environmental pollution controlï¿½?? at an outlay of Rs. 35.0 lakhs was submitted to SERB, DST, GOI. A consultancy work at an outlay of Rs.3.00 lakhs on 'Nano Iron Oxide Pilot scale reactor' for Felix Industries, Ahmadabad, Gujarat, in co-ordination with Dr. Shirish Sonawane Hari. A consultancy at an outlay of 2.00 lakhs on ï¿½? ?Development of Antiscalent for the polymer membraneï¿½?? for Krishna Water Treatment and Chemicals Surat, Gujarat. Outstanding Scientist Award in Engineering - 2015 by Venus International Foundation Chennai. Certificate of Merit award, for the paper ï¿½? ?Optimization of Process Variables of Citric Acid Production using Aspergillus Niger in a Batch Fermentorï¿½?? presented in the International Conference on Chemical Engineering, San Francisco, USA, Oct 2008. Best Teacher Award - 2015 by Rotary club, Hanmakonda. Chaired a session in an International conference on Chemical and Bioprocess Engineering held during 16-17 Nov, 2013 at Dept. of Chemical Engineering, NIT Warangal. Chaired a session in technical presentation, recognition and appreciation of research contributions to ï¿½? ?6th International Conference on Chemical, Biological and Environmental Sciences (ICCEBSï¿½??2015)ï¿½?? during September 13-14, 2015, Dubai, United Arab Emirates (UAE). Chaired a session in ï¿½? ?International Conference on Computational Heat and Mass Transfer (ICCHMT-2015)ï¿½?? during Nov.30-Dec02, 2015, Dept. of Mathematics, NIT Warangal. Bagged third prize in the Essay writing competition on ï¿½? ?Preventive vigilance as a tool of good governanceï¿½?? conducted in NIT Warangal on the occasion of observation of Vigilance awareness Week-2015 during 26-31 October, 2015. Chaired a session in 206th International Conference on Chemical and Biochemical Engineering (ICCBE), held at Istanbul, Turkey during 23-24 March, 2018. Upender and K. Anand Kishore, ï¿½? ?Minimum Fluidization Velocity studies by using Pressure Drop in Inverse Fluidizationï¿½? ?, International Journal of Engineering Technology Science and Research, Volume 4, Issue 11 November 2017, ISSN 2394-3386,pp: 450-456. Kishore, K. Anand Kishore and RC Panda, ï¿½? ?An improved identification of low-order processes using relay feedback approachï¿½?? journal of IEEE Xplore, 978-1-5090-3001-9/17/$31.00@2017 IEEE. Upender, K. Anand Kishore and V V Basava Rao, ï¿½?? Mathematical model for bed expansion and minimum fluidization velocity studies of two phase inverse fluidizationï¿½?? international journal of Engineering Technology Science and Research, volume 4, issue 10, October 2017, ISSN 2394-3386,pp:239-248. Anand Kishore Kola, Mallaiah Mekala and Venkat Reddy Goli, ï¿½? ?Experimental design data for the biosynthesis of citric acid using central composite design methodï¿½? ?, Scopus Indexed journal of Data in brief, 12, (2017), pp: 234-241. Naresh Yadav, K. Anand Kishore, Shirish H. Sonawane, Bhaskar Bethi and D. Bhagawan, ï¿½? ?ZnO nanophotocatalysts coupled with ceramic membrane method for treatment of Rhodamine-B dye waste waterï¿½? ?, Scopus Indexed journal of Environment, Development and Sustainability, Environ Dev Sustain (2017), DOI 10.1007/s10668-017-9977-x. Mallaiah Mekala, Anand Kishore Kola and Venkat Reddy Goli, ï¿½? ?Catalytic reactive distillation for the esterification process: Experimental and Simulationï¿½? ?, SCI Journal of Chemical and Biochemical Engineering quarterly, 31 (3) 293-302 (2017). Anand Kishore Kola, Mallaiah Mekala and Venkat Reddy Goli, Experimental Studies on Batch Synthesis of Citric Acid by Submerged Fermentation of Sucrose Using Aspergillus Niger NCIM 705ï¿½?? (Revised Manuscript Under Review). Scopus Indexed Journal of Chemistry in industry (2017), Croatian Society of Chemical Engineers. Prasad Gurav, S. Srinu Naik, Komel Ansari, S. Srinath, Anand Kishore,Y. Pydi Setty, Shirish Sonawane, ï¿½??ï¿½? ?Stable colloidal copper nanoparticles for a nanofluid: Production and applicationï¿½? ?, Colloids and Surfaces A: Physicochem. Eng. Aspects 441 (2014) 589ï¿½?? 597. Anand Kishoreand G. Venkat Reddyï¿½? ?Modeling and Optimization of Stimulators in the fermentation of Citric Acidï¿½? ?, International Journal of Synthesis and Characterization, Vol.5, No.2, July-December 2012, pp.90-94, Research Sciences Press, (India). Anand Kishore and G. Venkat Reddy, ï¿½? ?Recent Developments in Optimization of Citric Acid Fermentation Process-A Reviewï¿½? ?, International journal of General Engineering and Technology (IJGET), Vol.1, Issue 1 Aug 2012, pp: 55-63. Anand Kishore and G. Venkat Reddy,ï¿½? ?Studies on Phenol biodegradation rates in Waste water treatment by Draft tube Fluidized bed bioreactorï¿½? ?, International journal of Chemical Sciences and Applications, Vol-3, Issue-2, 2012,pp;249-253. Anand Kishore and P.Amareshwar ï¿½? ?Quality evaluation and Comparative study on Tablet formulations of different Pharmaceutical companiesï¿½? ?, Journal of Current Chemical & Pharmaceutical Sciences, Vol.2, No.1, pp: 24-31, ISSN 2277-2871(2012). Anand Kishore and G. Venkat Reddy, ï¿½? ?Statistical Design and optimization of Metal ion concentrations for submerged fermentation of Citric acidï¿½? ?, Journal of Scientific review and Chemical communication, Vol.2, No.1, pp: 66-75, ISSN 2277-2669 (2012). Anand Kishore and P.Amareshwar, A Study on effect of Physical properties on the Quality of formulations of different Pharmaceutical companiesï¿½? ?, International Journal of Pharmaceutical Studies and Research, Vol.3, No.1, pp: 04-07 (2012). Anand Kishore and G. Venkat Reddy, ï¿½? ?Modeling and Optimization of Citric Acid Fermentation Process by Statistical Experimental Designsï¿½? ?, International Journal of Chemical and Environmental Engineering systems, Vol.2 (2):18-22, 2011. Anand Kishoreand G. Venkat Reddy, ï¿½? ?Optimization of Batch Fermentation of Citric Acid Process: A Statistical Approachï¿½? ?, International Journal of Applied Engineering Research, Vol. 7, No. 11, 1739-1741(2012). Anand Kishore, M.Praveen Kumar, M. Ravi Krishna and G. Venkat Reddy, ï¿½? ?Optimization of Process Variables of Citric Acid Production using Aspergillus Niger in a Batch Fermentorï¿½? ?, IAENG international journal Engineering Letters, Vol.16,No.4,pp: 572-577 (2008). Anand Kishore and G. Venkat Reddy, ï¿½? ?Assessment of relative importance of process variables in Citric Acid Fermentation by Plackett-Burman design ï¿½? ?, Reasearch Journal of Chemical Sciences, Vol. 2(9), pp:5-8, Sept. (2012). Anand Kishoreand Srinu Naik .S, ï¿½? ?Chemical stability studies on some locally manufactured Tablets using Instrumental methodsï¿½? ?, Journal of Acta Chimica & Pharmaceutica Indica, Vol.2, No.1, pp: 79-86, ISSN 2277-288X (2012). Anand Kishore and G. Venkat Reddy, ï¿½? ?Genetic Algorithmic Optimization of Physical Operating conditions in Citric acid Fermentationï¿½? ?, Journal of Engineering Research and Studiesï¿½? ?, Vol.3, No.1,pp:65-69 (2012). V.Narayana, K.Anand Kishore and G.Venkat Reddy,ï¿½? ?Bio-kinetic Studies on Citric Acid Production using Aspergillus Niger in a Batch Fermentorï¿½? ?, Indian Chemical Engineer Journal, Volume 48, No.4, pp; 217-229 (2006). Anand Kishore, Rajpriya Gupta and H. Upender, ï¿½? ?CFD Simulation of Inverse Fluidizationï¿½? ?, 206th International Conference on Chemical and Biochemical Engineering (ICCBE), held at Istanbul, Turkey during 23-24 March, 2018, pp: 1-3. Kishore, K. Anand Kishore and RC Panda, ï¿½?? Identification of cascade control system using simple relay feedback approachï¿½? ?, National conference on Contributions of SC/ST Scientists and Technologists towards advancement of Science and Engineering (NCSCSTASE-2018), held at National Aerospace laboratories, CSIR, Bangalore during 23-25 January, 2018, pp: 117. Upender and K. Anand Kishore, ï¿½? ?Minimum Fluidization Velocity studies by using Pressure Drop in Inverse Fluidizationï¿½? ?, 5th International Conference on Advancement in Engineering, Applied Science and Management (ICAEASM-2017) at Institution of Electronics and Telecommunication Engineers, Ganganagar, Bengaluru, Karnataka, India on 26th November 2017, ISBN: 978-93-87433-02,pp:49-55. Upender, K. Anand Kishore and VV Basava Rao, ï¿½?? Mathematical model for bed expansion and minimum fluidization velocity studies of two phase inverse fluidizationï¿½?? 2nd international conference on Science, Technology & Management (ICSTM-2017), IETE, OU, Hyderabad, 15-10-2017, ISBN: 978-81-934288-7-0. Narasimha P, Shirish H Sonawane and Anand Kishore, ï¿½? ?Ultrasound assisted synthesis of GO/Mn3O4/ZnO nanocomposite for super-capacitor applications, Asia-Oceania sonochemical Society Conference (AOSS-3), 14-16 September, 2017, SRM Research Institute, Chennai. Kishore, K. Anand Kishore and RC Panda, ï¿½? ?An improved identification of low-order processes using relay feedback approachï¿½? ?, 9th international conference on trends in industrial measurements and automation during 6-8, Jan. 2017, pp: 29. Kishore, K. Anand Kishore and RC Panda, ï¿½? ?Nonlinear system identification and control for Wiener processes using relay feedbackï¿½? ?, international conference on Frontiers in Optimization: Theory and Applications, jointly organized by ORSI & HIT, Kolkata) during Nov 24-26, 2016, pp: 49. Anand Kishore and G. Venkat Reddy, ï¿½?? Statistical and experimental screening of key variables in the biosynthesis of citric acid from sucroseï¿½? ?, International Conference on Computational Heat and Mass Transfer (ICCHMT-2015) during Nov.30-Dec02, 2015, Dept. of Mathematics, NIT Warangal, pp: 78. Anand Kishore and T. Kamala,ï¿½? ?An Experimental Study on Dye Water Treatment Using Nanoporous Membrane Processï¿½?? International Conference on Chemical, Civil and Environmental Engineering (ICCCEEï¿½? ?2015), 23-24 March. 2015, London, UK. pp: 149. Anand Kishore and KAV Ramanjaneyulu, ï¿½? ?Simulation of biomass gasification in Fluidized bed using Aspen plusï¿½? ?, 6th International Conference on Chemical, Biological and Environmental Sciences (ICCEBSï¿½? ?2015) during September 13-14, 2015, Dubai, United Arab Emirates (UAE), pp: 28..
Anand Kishore and G. Venkat Reddy, ï¿½? ?Optimization of parameters in citric acid bioprocess using statistical and experimental techniquesï¿½? ?, International Conference on New Frontiers in Chemical, Energy and Environmental Engineering (INCEEE-2015), 20-21 March, 2015, Department of Chemical Engineering, National Institute of Technology, Warangal, India,pp:375. Anand Kishore and G. Venkat Reddy, ï¿½? ?Applications of TiO2 assisted cellulose acetate membrane for waste water treatmentï¿½? ?, International Conference on New Frontiers in Chemical, Energy and Environmental Engineering (INCEEE-2015), 20-21 March, 2015, Department of Chemical Engineering, National Institute of Technology, Warangal, India,pp:373. AV Ramanjaneyulu Kalva And Anand Kishore Kola, ï¿½? ?Simulation of Hydrogen rich fuel gas production by gasification of wet biomass using A CO2 sorbent, International Conference on New Frontiers in Chemical, Energy and Environmental Engineering (INCEEE-2015), 20-21 March, 2015, Department of Chemical Engineering, National Institute of Technology, Warangal, India,pp:365. Anand Kishore and G. Venkat Reddy, ï¿½? ?Screening of variables for the biosynthesis of citric acidï¿½? ?, International Conference on New Frontiers in Chemical, Energy and Environmental Engineering (INCEEE-2015), 20-21 March, 2015, Department of Chemical Engineering, National Institute of Technology, Warangal, India,pp:137. AV Ramanjaneyulu Kalva and Anand Kishore Kola, ï¿½? ?Simulation of biomass gasification using Aspen plus; A dispersion modelï¿½? ?, international conference on energy systems and developments (ICESD), 11-13 February, 2015, Trinity College of Engineering and Research, Pune, India, pp:13. Anand Kishore, G.Venkat Reddy and A.S Deshmukh, ï¿½? ?Modeling and Simulation Studies on Continuous Reactive Distillation of Methyl acetate Processï¿½? ?, International conference on Chemical and Bioprocess Engineering, 16-17 Nov,2013, ISBN 978-81-928314-0-4, pp:57. Anand Kishore, Shirish Sonawane and T. Kamala, ï¿½? ?A study on Waste water treatment using ceramic nanoporous membraneï¿½? ?, International conference on Chemical and Bioprocess Engineering, 16-17 Nov,2013, ISBN 978-81-928314-0-4, pp:125. Anand Kishore and G. Venkat Reddy, ï¿½? ?Studies on phenol degradation using pseudomonas putida in fluidized bed bioreactor: a waste water treatmentï¿½? ?, proceedings of international conference on global scenario in environment and energy, Maulana Azad National Institute of Technology, 14-15 March 2013. Anand Kishore and G. Venkat Reddy, An experimental and Statistical study on the influence Vegetable Oils on the Fermentation of Citric Acid from Sucrose using Aspergillus Niger NCIM 705, proceedings of International conference on Biotechnology in Human welfare,7-9February 2013,pp:150(2013). Anand Kishoreand G. Venkat Reddyï¿½? ?Optimization of Operating Conditions in Citric Acid Fermentation: A Genetic Programming Approach, proceedings of 3rd International Conference on Chemical, Ecology and Environmental Sciences (ICCEES'2013),4-5 January 2013, Bali, Indonesia,pp:190 (2013). Anand Kishoreand G. Venkat Reddy, ï¿½??ï¿½? ?Optimization of Batch Fermentation of Citric Acid Process: A Statistical Approachï¿½??ï¿½? ?, proceedings of ï¿½? ?International Conference on Emerging Trends in Engineering & Technology (IETET-2012)ï¿½? ?, 9-11 November 2012, GIMT, Kurukshetra. Anand Kishoreand G. Venkat Reddy, ï¿½? ?Design and Optimization of Citric Acid Fermentation Process by Statistical Methodï¿½? ?, proceedings of International conference on Chemical, Environmental and biological sciences, 11-12 February, Penang, Malaysia, pp: 70-73 (2012). Anand Kishoreand G. Venkat Reddy, ï¿½? ?Optimization of Operating Variables in the Fermentation of Citric acid using Response Surface Methodologyï¿½? ?, proceedings of 2011 2nd International Conference on Chemical Engineering and Applications, Singapore,Vol23,pp:108-113. (2011). Anand Kishore, K.Kishore and G. Venkat Reddy,ï¿½?? Optimization of Nutrients by Central Composite Design for the Biosynthesis of Citric Acidï¿½? ?, proceedings of 17th Regional Symposium on Chemical Engineering (RSCE2010),Bangkok, Thailand, November 22-23,2010,pp:179,ISBN 978-974-466-514-0 (2010). Anand Kishore, M.Praveen Kumar, M.Ravi Krishna and G. Venkat Reddy, ï¿½? ?Effect of Additives on Citric acid yield, produced usingAspergillus Nigerï¿½?? proceedings of an International conference onï¿½?? Plant biotechnology and Molecular biologyï¿½? ?, Kakatiya University, Warangal, A.P, India, August 15-17, pp:.126 (2008). Anand Kishore, N. Madan Mohan and G.Venkat Reddy, ï¿½? ?Optimization of Citric acid Production using Genetic Algorithmï¿½? ?, proceedings of an ï¿½? ?International Conference on Chemical Engineering (ICCE07)ï¿½? ?, San Francisco, USA, October 24-26 October, pp: 84-89 (2007). Kishore and Dr. K. Anand Kishore, ï¿½? ?Identification of MIMO systems using relay feedback approachï¿½? ?, Research Conclaveï¿½? ?17, NIT Warangal, 18-19 March, 2017. Naresh Yadav and Dr. K. Anand Kishore,ï¿½?? Effect of catalyst loading on degradation of methylene blue dye in photo-catalysisï¿½? ?, Research Conclaveï¿½? ?17, NIT Warangal, 18-19 March, 2017. Kishore and Dr. K. Anand Kishore ï¿½? ?Identification of unstable systems using relay feedback approachï¿½? ?, Research Conclaveï¿½? ?17, NIT Warangal, 18-19 March, 2017. Kishore, Dr. K. Anand Kishore and RC Panda, ï¿½? ?Stability analysis of SOPTD system with numerator dynamics using relay feedback approachï¿½? ?, proceedings of Indian Chemical Engineering Congress (CHEMCON-16), December 27-30,2016, Anna university, Chennai, pp: 1155. Kishore and Dr. K. Anand Kishore, ï¿½? ?Identification and control of non-linear systems using relay feedback approachï¿½? ?, National conference on applied nonlinear dynamics, jointly organized by NITW & IIG, Navi Mumbai during 21-22 Dec, 2016, pp: 3. Anand Kishore and G. Venkat Reddy,ï¿½? ?Phenolic water treatment by microbial cells in Fluidized bed bioreactorï¿½? ?, proceedings of Indian Chemical Engineering Congress (CHEMCON-12), December 27-30, 2012 DR. B.R. Ambedkar National Institute of Technology, Jalandhar, pp: 564(2012). Anand Kishoreand G. Venkat Reddy ï¿½? ?Structured Modeling and Optimization Studies on Citric Acid Submerged fermentation Process by Genetic Programmingï¿½? ?, proceedings of Indian Chemical Engineering Congress (CHEMCON-12), December 27-30,2012 DR. B.R. Ambedkar National Institute of Technology, Jalandhar,pp:563 (2012). Prasad Gurav, A S. Deshmukh, K Anand Kishore S Srinu Naik, Y. Pydi Setty, Shirish Sonawane, ï¿½? ?Heat Transfer Analysis of Nanofluid in Copper Tube with Constant Heat Fluxï¿½? ?, proceedings of ChEmferenceï¿½? ?12, a national level symposium mutually organized by Department of Chemical Engineering, Indian Institute of Technology Bombay and Institute of Chemical Technology (ICT).10-12, December,2012. Anand Kishoreand G. Venkat Reddy, ï¿½? ?Statistical Optimization of Citric Acid Fermentation Process: A Design of Experiments Approachï¿½? ?, proceedings of National conference on Technological Advancements in Chemical and Bioprocess Engineering (TACBE ï¿½?? 2012), 28thSeptember, 2012, Department of Chemical Engineering, SVU, Tirupathi, 19-22. Anand Kishore and G. Venkat Reddy ï¿½? ?Effect of Alcohols on Citric Acid Production by Submerged Fermentation Using Aspergillus Nigerï¿½? ?, National conference on Recent Trends in Green Processing Strategies (RTGPS-2012), 29 Marchï¿½? ?2012, Department of Chemical Engineering, S V University College of Engineering, Tirupati,pp:4. Anand Kishore and G. Venkat Reddyï¿½?? Study and treatment of Phenolic drug waste in Fluidized bed bioreactor with an Internal draft tubeï¿½? ?, National conference on Energy and environmental issues related to Chemical industries, 18-19, Februaryï¿½? ?2012, Bichpuri, U.P. Anand Kishore and G. Venkat Reddy ï¿½? ?Optimization of Physical variables in Citric acid fermentation by Genetic algorithmsï¿½? ?, National conference on recent advances in Chemical and Environmental Engineering, 20-21 Januaryï¿½? ?2012, NIT, Rourkela, pp:116. Anand Kishore and G. Venkat Reddyï¿½? ?Studies on Degradation of Phenolic Bulk drug effluentsï¿½?? National Conference on Interface between Chemical sciences and Technologies,29-30, December, 2011, NITW,pp:49. Anand Kishore and G. Venkat Reddy, ï¿½? ?A Study on Quality Evaluation & Comparison of Formulations of different Pharmaceutical companiesï¿½? ?, National Conference on Interface between Chemical sciences and Technologies, 29-30, December, 2011, NITW,pp:6. Anand Kishore and G. Venkat Reddy,ï¿½?? Effect of Organic Solvents on Batch Fermentation of Citric Acid and their Optimizationï¿½? ?, National Conference on Interface between Chemical sciences and Technologies, 29-30, December, 2011, NITW, pp: 50. Anand Kishore and G. Venkat Reddy ï¿½? ?Studies on Substrate transfer rates from liquid phase to Bioparticle in fluidized bed bioreactorï¿½? ?, proceedings of National Conference on Interface between Chemical sciences and Technologies, 29-30, December, 2011,pp:35. Anand Kishore and G. Venkat Reddyï¿½? ?Biodegradation Studies of Phenolic Pharmaceutical Wastes in Draft tube Fbbr, ï¿½? ?International Symposium on Effect of Emissions & Effluents on Environment, 23-24 Decï¿½? ?2011,Department of Engineering Chemistry, A.U. College of Engineering, Visakhapatnam, pp:25. Anand Kishore and G. Venkat Reddy, ï¿½? ?Statistical optimization of Metal ions for Citric acid Fermentationï¿½? ?, proceedings of Indian Chemical Engineering Congress (CHEMCON-2011), 27-29 Decemberï¿½? ?2011, Bangalore, Vol.II,p:417-418. Anand Kishore, R. Naveen Kumar and G.Venkat Reddy, ï¿½? ?Optimization of Citric Acid Production Process Variables using Genetic Algorithmsï¿½? ?, proceedings of Indian Chemical Engineering Congress-2009, Visakhapatnam, 27-30,December 2009,pp:111-112(TS-1460). Serving as an Editorial board member of International Journal of Chemical Sciences and Applications, a BioIT international journal. Coordinator and Head of the Department for the ï¿½? ?International Conference on New Frontiers in Chemical, Energy and Environmental Engineering (INCEEE-2015) organized during 20-21 March, 2015, by the Department of Chemical Engineering, National Institute of Technology, Warangal, India, on the occasion of Golden jubilee year of the Department. Head of the Department for the ï¿½? ?Students National Conference- Chemflairï¿½?? organized during 13-14 March, 2015 by the Department of Chemical Engineering, National Institute of Technology, Warangal, India on the occasion of Golden jubilee year of the Department. Head of the Department for the Expert Lecture on ï¿½? ?MAGIC processes & plants for fine and specialty chemicalsï¿½?? organized on 23 February, 2015 by the Department of Chemical Engineering, National Institute of Technology, Warangal, India on the occasion of Golden jubilee year of the Department. Head of the Department for the Alumni meet organized during 30-31 January, 2015 by the Department of Chemical Engineering, National Institute of Technology, Warangal, India on the occasion of Golden jubilee year of the Department. Anand Kishore& Prof.Y. Pydi Setty, Process Modeling, Simulation and Optimization, 1-14 June, 2009. Anand Kishore, Resource person for Modeling, Simulation and Optimization of Chemical Process Industries, 15-27 December, 2003. Shirish H Sonawane & Dr. K. Anand Kishore, one day workshop on ï¿½? ?Advanced flow reactorsï¿½? ?, 27th February, 2015. K. Anand Kishore, Assoc. Prof. & HOD, Resource person for the one week STTP on Application of Bioprocess and Nanotechnology in Chemical Engineering organized by SGGSIE & T, Nanded during 18-22 December, 2014. Shirish H Sonawane & Dr. K. Anand Kishore, three day workshop on ï¿½? ?Process Intensificationï¿½?? during 18-20 December, 2015. K. Anand Kishore & Dr. Shirish H Sonawane, three day workshop on ï¿½? ?Advanced Separation Processesï¿½?? during 5-7 February, 2016. K. Anand Kishore & Dr. Shirish H Sonawane, one week GIAN workshop on Membrane Separation Process: New Frontiers in Membrane Technology - Waste water and industrial effluent treatment during 14-18 March, 2016. Delivered a key note lecture on ï¿½? ?21st century Chemical Engineeringï¿½?? in 206th International Conference on Chemical and Biochemical Engineering (ICCBE), held at Istanbul, Turkey during 23-24 March, 2018. Introduction to Process Modeling, Simulation and Optimization at NIT Warangal in a workshop on ï¿½? ?Process Modeling, Simulation and Optimizationï¿½?? conducted during 1-14 June, 2009. Relevance and functioning of SC/ST Cells in institutes of higher education at NIT Warangal in a work shop on ï¿½? ?induction program for university teachersï¿½?? Recent advances in alternate energy sources & technology (RAAEST 2016), organized by Department of Electronics and Communication Engineering, NIT Goa during 5-10 December, 2016. Nanostructured materials and their applications in Catalysis & fuel cells (NMCF-2016), organized by Department of Chemical Engineering, NITK Surathkal during 29th Sept. ï¿½?? 1st October, 2016. Residential Training programme on New Reservation Policy of Government of India, organized by Institute of Public Administration (IPA), Bangalore at Faridabad during 29-31 May, 2014. Modeling, Simulation and Optimization of Bioprocesses, NIT Warangal, during 8-10, Nov, 2013. Quality initiatives in Technical & Higher Educational Institutions, Engineering Staff College of India, Hyderabad during 16-18 Sept, 2013. Management Development Program for NIT Warangal, Indian school of Business, Hyderabad during 25-26 June, 2013. Sono Process Engineering & Reactors for nanomaterials, NIT Warangal during 23-24 Feb, 2013. Twenty Third Indian Engineering Congress, held at NIT Warangal during 12-14, Decemberï¿½?? 2008. Design of Experimental setup for Engineering Practice, conducted by Departments of Chemical, Mechanical and Civil Engineering, National Institute of Technology, Warangal, A.P. India, during 25th Aug to 6th Septï¿½?? 2008. A Leadership Development Programme on Management Insights for Engineering Faculty for Academic Leadership conducted by Centre for Management Studies, National Institute of Technology, Warangal, A.P. India, during 30th June -12th July 2008. Water Quality Modeling and Management conducted by Department of Civil Engineering, National Institute of Technology, Warangal, A.P. India, during 16-21 June 2008. Applications of Process Simulators in Chemical Engineering conducted by Department of Chemical Engineering, National Institute of Technology, Warangal, A.P. India, during 2-7 June 2008. Scientific Computing and Modeling conducted by Department of Mathematics and Humanities, National Institute of Technology, Warangal, A.P. India during 5-10 May 2008. Petroleum Refining and Petrochemicals, conducted by PETROTECH Society at Indian Institute of Petroleum Management (IiPM), Gurgoan during 25-30 June 2007. National convention on Value Education through Jeevan Vidya, organized jointly by IIT Kanpur, IIIT Hyderabad and IIT Delhi at IIT Delhi during 22-24 May 2007. Advanced Measurement Techniques in Multiphase Systems, Conducted by the University Institute of Chemical Technology, Mumbai during 25-27 April 2007. Computational Fluid Dynamics, conducted by Department of Mathematics and Humanities, National Institute of Technology, Warangal, A.P. India during 15-19 January 2007. Use of Process Simulators, conducted by Department of Chemical Engineering, National Institute of Technology, Warangal, A.P. India, during 28-30 April 2006. Modeling, Simulation and Optimization of Chemical Process Industries, conducted by Department of Chemical Engineering, National Institute of Technology, Warangal, A.P. India, during 15-27 December 2003. Computer Control of Chemical Processes-2001, conducted by Department of Chemical Engineering, Regional Engineering College (formerly)/National Institute of Technology, Warangal, A.P. India, during 11-23 June 2001. Teaching Competencies for Engineering Faculty, conducted by Centre for Educational Technology, Regional Engineering College (formerly)/National Institute of Technology, Warangal, A.P. India, during 27th December-7th January 2000. S.Venugopal Reddy, ï¿½? ?Effect of Additives on Citric acid yield, Produced using Aspergillus Niger, 2004-06. N.Madan Mohan, ï¿½? ?Process Variable Optimization of Citric acid Production Using Aspergillus Niger in a Batch Fermentorï¿½? ?, 2005-07. 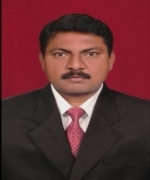 M.Praveen Kumar, ï¿½? ?Optimization of process variables of Citric acid production using Aspergillus Niger In a Batch Fermentorï¿½? ?, 2006-08. R. Naveen Kumar, ï¿½? ?Optimization of process variables of Citric acid production using Genetic algorithmsï¿½??,2007-09. Ch. Vamsee Krishna, ï¿½? ?Effect of Organic solvents on batch fermentation of Citric acid & their Optimization.ï¿½?? 2008-10. M. Aditya Kishore, ï¿½? ?Optimization of lower alcohols using genetic algorithms in the fermentation of citric acidï¿½? ?, 2009-11. Ms. M.Deepthi, ï¿½? ?A study on the effects of oils on citric acid fermentation and process parameters optimization by Box Behenken designï¿½? ?, 2010-12. A.Deshmukh. ï¿½? ?Modelling and Simulation of Continuous Reactive Distillation Processï¿½? ?, 2011-13. Ms. T.Kamala, ï¿½? ?A Study on Waste Water Treatment using Nanoporous membranesï¿½? ?, 2012-14. Mr. Sanjay Jatav, ï¿½? ?Studies on Continuous Reactive Distillation Processï¿½??2012-14. Mr. KAV Ramanjaneyulu,ï¿½?? Simulation of biomass gasification in fluidized bed using Aspen plusï¿½??2013-15. Mr. M. Gokul, Control of temperature of yeast fermentation bioreactor using IMC in MATLAB & Simulink. Mr. Smruti Ranjan Das, Identification and Control of MIMO systems using simultaneous relay and subspace method in system identification tool boxï¿½?? Reviewed M.Tech thesis of SVU, Tirupati. Served as an External Examiner for B.Tech Projects of SVU, Tirupati. Served as an External Examiner for M.Sc (Biotech) Practical exams of KU, Warangal. Served as an External Examiner for B.Tech Projects of SGGSIE&T, Nanded. Delivered Guest Lecture on Modeling of Chemical Processes at SGGSIE&T, Nanded. Served as Paper setter for Ku, SVU, OU, JNTU and Anna University. National University of Singapore, Singapore, 2011. Thammasat University, Bangkok, Thailand, 2010. University of California, Berkeley, Sanfrancisco, USA, 2008. An inspiration lecture on EXCELLENCE AND BETTER PERFORMANCEby Mr. Naresh Dubbudu, IIM Bangalore and Stanford University, USA, a 2004 alumnus and Gold medalist of NIT Warangal on 7th November, 2014 for all the SC/ST and other Students of NIT Warangal - Most of the Students got realized from the Lecture to rededicate for the cause of joining in NIT Warangal. Imitator & Founder SC-ST Cell Coordinator for the construction of Dr. B.R. Ambedkar Learning centerwith all the sophisticated amenities for organizing various SC/ST related academic and extra academic programs through SC/ST Sub plan, MHRD, GOI - The proposal was approved by BOG and the preliminary estimates are to be placed before BWC for approval. GATE-2014 coaching classes for the final B.Tech SC/ST and other Students of NIT Warangal during 02-12-2013 to 31-01-2014 through SC/ST Sub plan, MHRD, GOI - good number of the students secured better ranks. Two day workshop onResearch Methodology and Scholarly Writing Skills (RMSWS) for the SC/ST and other research scholars of NIT Warangal through SC/ST Sub plan, MHRD, GOI - There was an overwhelming response from the participants and everybody has derived maximum benefit out of the workshop. Soft Skill Development Training Programfor the non-teaching staff of the Institute 10-12-2013 to 21-02-2014 through SC/ST Sub plan, MHRD, GOI - The program could impart reading and writing skills to all the non-teaching staff of the Institute. Guest Lectures on B.R. Ambedkarï¿½? ?s thoughts and their relevance in the present day context on 14-04-2014 for all the SC/ST Students and staff of NIT Warangal through SC/ST Sub plan, MHRD, GOI- The program could provide minute details of Ambedkar and thoughts embedded in Indian constitution for the upliftment of weaker sections to all the audience of the program. Organized Guest Lectures on Ambedkar and his vision for Dalit education through SC/ST Sub plan, MHRD, GOI for the SC/ST students and employees of NITW on 06-12-2014 on the occasion of Mahaparinirvan Diwas of Dr. BR Ambedkar. GATE-2015 coaching classes for the final SC/ST B.Tech & PG Students of NIT Warangal during 08-12-2014 to 31-01-2015 through SC/ST Sub plan, MHRD, GOI. Organized Guest lectures on B. R. Ambedkar and His Contribution to the Nation through SC/ST Sub plan, MHRD, GOI for the SC/ST students and employees of NITW on 14-04-2015 on the occasion of 125th birth anniversary celebrations of Dr. BR. Ambedkar. GATE-2016 coaching classes for the final SC/ST B.Tech & PG Students of NIT Warangal during 01-12-2015 to 31-01-2016 through SC/ST Sub plan, MHRD, GOI. Is education only for employment or social democracy? In-charge, Industrial trainings/internships for the Chemical Engineering Students, NIT Warangal. General Secretary, Teachers' Welfare Association of NIT Warangal (TWANITW). Member, Departmental Purchase Committee (DPC,) Dept. of Biotechnology, NIT Warangal. Faculty Coordinator for B.Tech Chemical Engineering Students projects, NIT Warangal. Coordinated the Modernization of Heat Transfer Laboratory replacing the manual based experiments with compact computer based experimental Units under MODROBS. Observer for AIEEE-2013, JEE-2014, JEE-2015, UGC-NET 2015. Micro-observer for 2009 General elections and subsequent by-elections. Mallaiah Mekala, Anand Kishore Kola and Venkat Reddy Goli, ï¿½? ?Catalytic reactive distillation for the esterification process: Experimental and Simulationï¿½?? (Accepted for publication). SCI Journal of Chemical and Biochemical Engineering quarterly (2017), Impact Factor: 0.923. Anand Kishoreand G. Venkat Reddy ï¿½? ?Modeling and Optimization of Stimulators in the fermentation of Citric Acidï¿½? ?, International Journal of Synthesis and Characterization, Vol.5, No.2, July-December 2012, pp.90-94, Research Sciences Press, (India). Anand Kishore and G. Venkat Reddy, ï¿½? ?Studies on Phenol biodegradation rates in Waste water treatment by Draft tube Fluidized bed bioreactorï¿½? ?, International journal of Chemical Sciences and Applications, Vol-3, Issue-2, 2012,pp;249-253. V.Narayana, K.Anand Kishore and G.Venkat Reddyï¿½? ?Bio-kinetic Studies on Citric Acid Production using Aspergillus Niger in a Batch Fermentorï¿½? ?, Indian Chemical Engineer Journal, Volume 48, No.4, pp; 217-229 (2006). Kishore, Dr. K. Anand Kishore and RC Panda, ï¿½? ?An improved identification of low-order processes using relay feedback approachï¿½? ?, 9th international conference on trends in industrial measurements and automation during 6-8, Jan. 2017, pp: 29. Kishore, Dr. K. Anand Kishore and RC Panda, ï¿½? ?Nonlinear system identification and control for Wiener processes using relay feedbackï¿½? ?, international conference on Frontiers in Optimization: Theory and Applications, jointly organized by ORSI & HIT, Kolkata) during Nov 24-26, 2016, pp: 49. Anand Kishoreand G. Venkat Reddy ï¿½? ?Optimization of Operating Conditions in Citric Acid Fermentation: A Genetic Programming Approach, proceedings of 3rd International Conference on Chemical, Ecology and Environmental Sciences (ICCEES'2013),4-5 January 2013, Bali, Indonesia,pp:190 (2013). Anand Kishoreand G. Venkat Reddy, ï¿½? ?Statistical Optimization of Citric Acid Fermentation Process: A Design of Experiments Approachï¿½? ?, proceedings of National conference on Technological Advancements in Chemical and Bioprocess Engineering (TACBE ï¿½?? 2012), 28th September, 2012, Department of Chemical Engineering, SVU, Tirupathi, 19-22. K. Anand Kishore & Prof.Y. Pydi Setty, Process Modeling, Simulation and Optimization, 1-14 June, 2009. K. Anand Kishore, Resource person for Modeling, Simulation and Optimization of Chemical Process Industries, 15-27 December, 2003. A research project on Development of pickling and polishing compound for improved coin quality and pollution control at an outlay of Rs. 2.88 lakhs sponsored by India Govt. Mint, Cherlapally, Hyderabad. A research proposal on Development of Cellulose acetate based nanoporous membranes for Fluoride removal from ground water at an outlay of Rs. 22.42 lakhs sponsored by Council of Scientific and Industrial Research (CSIR), New Delhi [No. 02(0215)/14/EMR-II], Govt. of India. A consultancy at an outlay of 2.00 lakhs on ï¿½? ?Devlopment of Antiscalent for the polymer membraneï¿½?? for Krishna Water Treatment and Chemicals Surat, Gujarat.